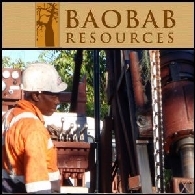 Baobab Resources Plc (LON:BAO) (&apos;Baobab&apos; or the &apos;Company&apos;) is pleased to announce that it has signed a Memorandum of Understanding (&apos;MOU&apos;) with Mozambique&apos;s state owned energy company, Electricidade de Moçambique (&apos;EDM&apos;) to jointly commission a detailed network option study on the Tete Project&apos;s power requirements. The MOU signals a significant step towards developing and formalising a power purchase agreement with EDM. 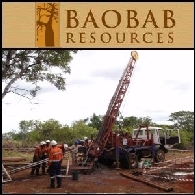 Baobab Resources Plc (LON:BAO)is pleased to announce the continued support by its cornerstone shareholder, African Minerals Exploration & Development SICAR SCA (&apos;the Fund&apos;), through a significant investment at a 15% to the prevailing market. 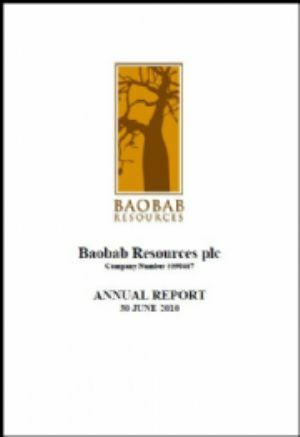 Baobab Resources Plc (LON:BAO) (&apos;Baobab&apos; or &apos;the Company&apos;) is pleased to announce the appointment of Francis John (&apos;Frank&apos;) Eagar as Chief Financial Officer and New Business Manager (&apos;CFO&apos;) of the Company. 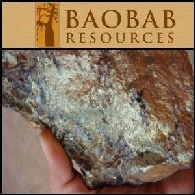 Baobab Resources Plc (LON:BAO) is pleased to announce that its Tete joint venture (&apos;JV&apos;) partner, IFC, a member of the World Bank Group, has committed to supporting the on-going Definitive Feasibility Study (DFS) work programme through a pro rata contribution of approximately US$1,000,000. 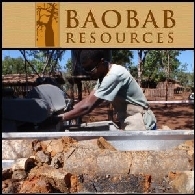 Following Baobab Resources plc (LON:BAO) recent announcements regarding the engagement of Standard Chartered Bank as corporate advisors and the results of the PFS-level 2Mtpa pig iron production financial modelling, the Company&apos;s website has been updated to include relevant news articles and research reports. 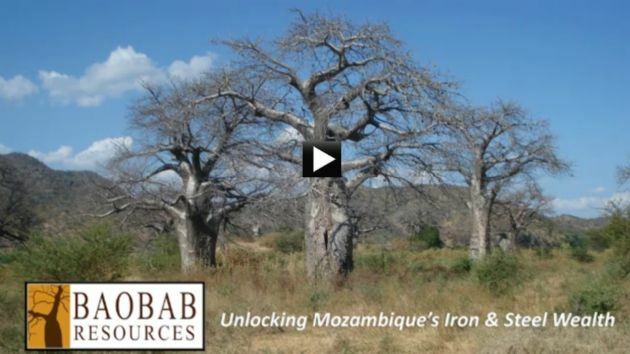 Baobab Resources Plc (LON:BAO) is wholly focused in Mozambique where it is developing a pig iron and ferro-vanadium project in the Tete province (the &apos;Tete Project&apos;), one of Africa&apos;s fastest growing mining centres. 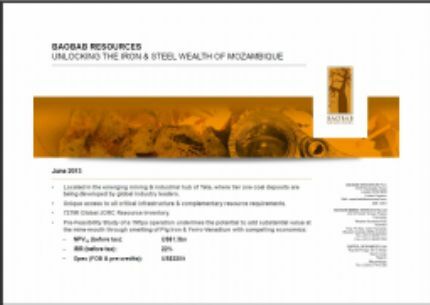 The International Finance Corporation (&apos;IFC&apos;) holds a 15% participatory interest in the Tete Project.